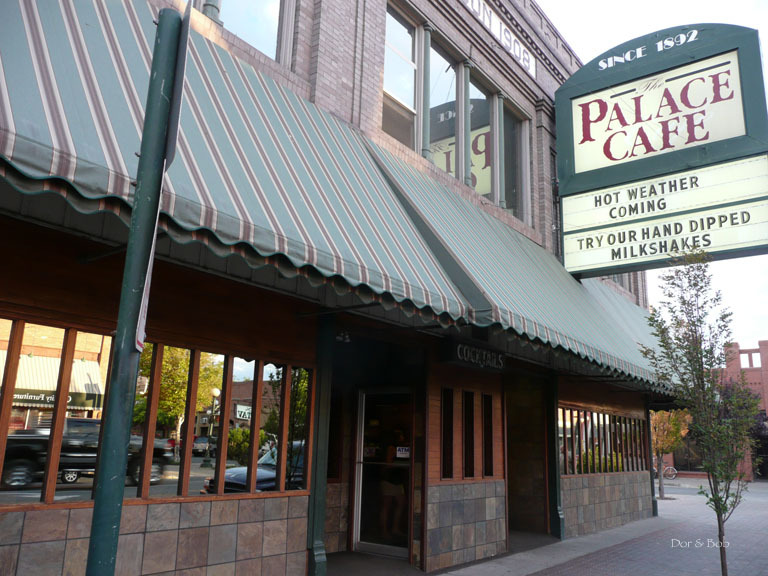 The Palace Cafe is in an old brick building in the historic center of Ellensburg. There is a large restaurant comprising multiple rooms, including a small diner-like seating area in the center, but we didnâ€™t stop on our way to the bar so canâ€™t say more. 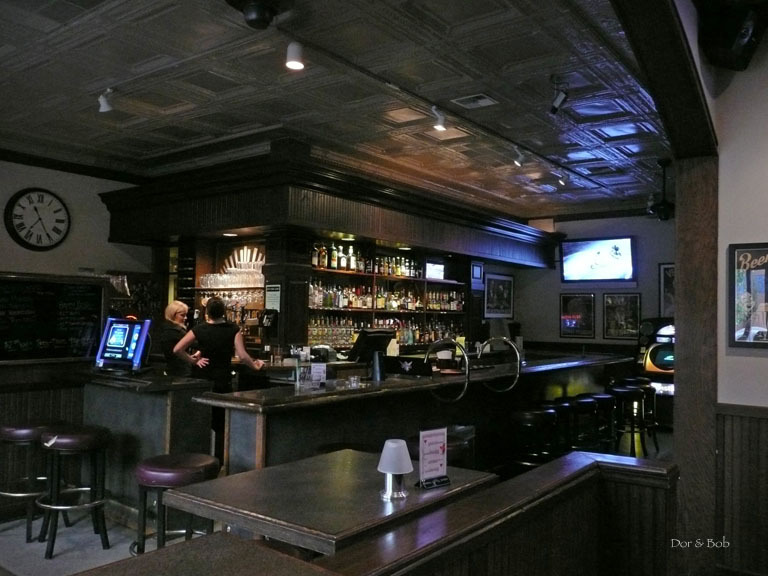 The â€œfull-service loungeâ€ is in the very back and is a classic example of an old (but upper-scale) western-style tavern - dark wood bar and bar back, stools along the bar, and various booths and tables throughout the rest of the room. The ceilings are high and covered in embossed tin, a great example of the style that was quite popular in the west during the Victorian era. The tin is shaped and intended to look like European plasterwork, so it was originally an imitation but now it has a classic look of its own. The bar has four different Iron Horse beers on tap (the local small craft brewery) as well as some generic choices. According to our server, the local beers are quite popular with tourists and students alike (Ellensburg is home to Central Washington University). The atmosphere was comfortable, friendly, local, and welcoming. It was worth visiting. We only tasted the daily appetizer special $1 â€œslidersâ€ (quite good mini-burgers with applewood smoked bacon and Tillamook cheese), but the full food menu from the restaurant was also available.